A severe electricity shortage in Gaza leaves residents with as little as four hours of power a day. Who gets electricity and when? 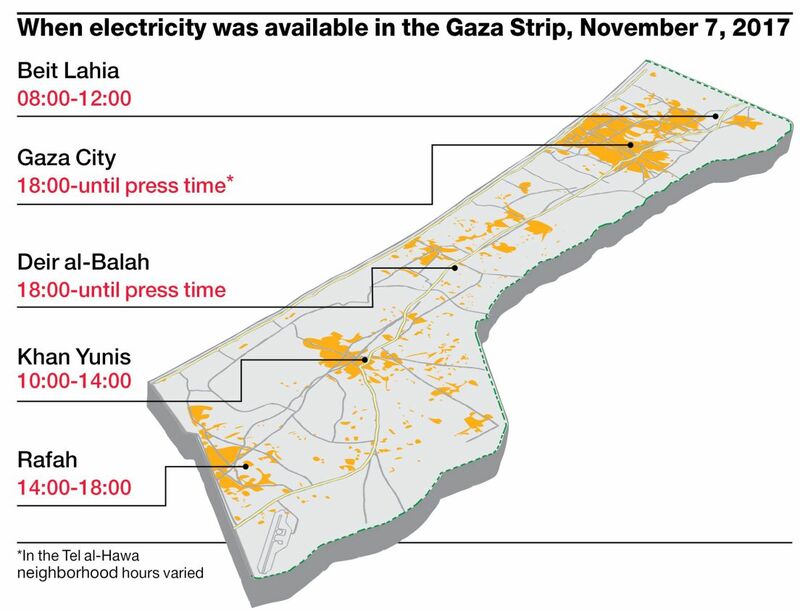 A severe electricity shortage in the Gaza Strip has left residents with as little as four hours of power a day, raising humanitarian concerns. For several years, Gaza residents received roughly eight hours a day, and many rely on gasoline-fueled generators. Others turn to large batteries to run household appliances, and a privileged few can afford solar panels. In June, Palestinian President Mahmoud Abbas requested that Israel reduce electricity purchases and supply to the Gaza Strip, to which Israel acquiesced. Prime Minister Benjamin Netanyahu considers the current electricity crisis in Gaza an "internal Palestinian matter" and insists that Israel has no interest in an escalation of tensions.